The United States Men’s National Soccer Team is gearing up for its first match in the 2014 FIFA World Cup against Ghana today—good luck guys; make America proud! 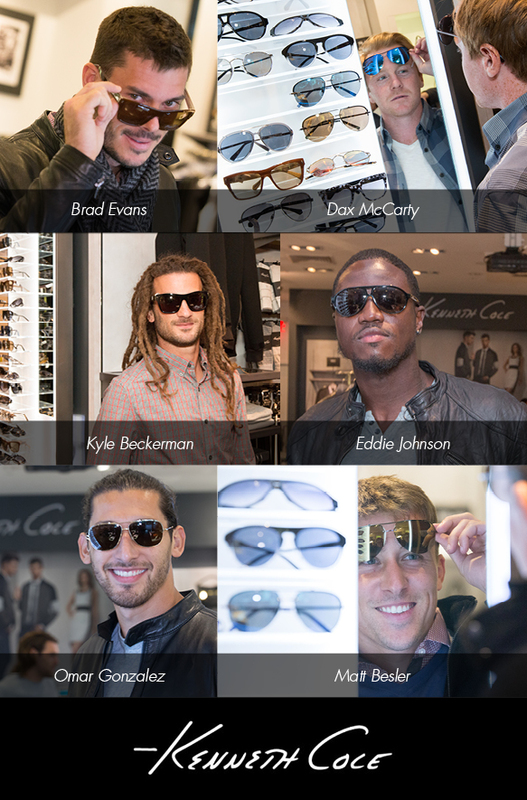 Lucky for the players, they’re entering the badass competition in shady style, thanks to Kenneth Cole! These seriously agile dudes had the exclusive opportunity to hit up the Kenneth Cole boutique in Santa Monica, Calif. and pick out head-to-toe ensembles, including sunnies from the brand’s latest spring/summer eyewear collection. From sweet aviators with vibrant flash lenses to sophisticated updated wayfarers, these athletes selected stylishly sleek shades with masculine appeal! Check out these burly gents rockin’ their new sunglasses below.